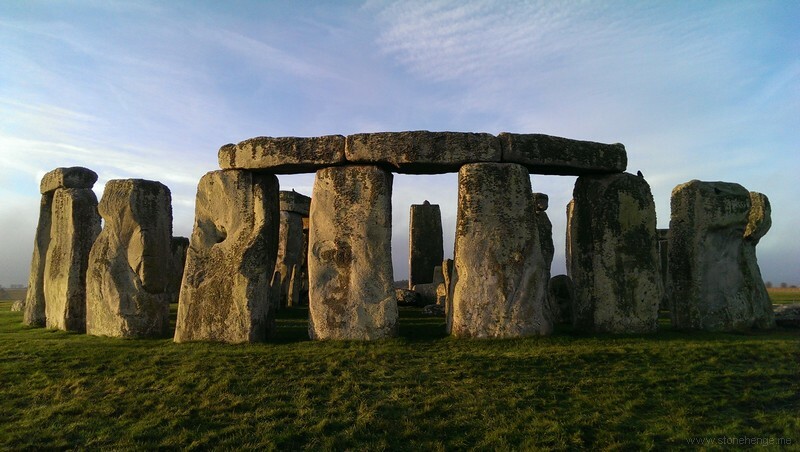 The recent discoveries at Stonehenge, including ritual monuments, burial mounds and a long barrow, are wonderful examples of how archaeological geophysics can be used in areas where excavation is hard to justify. Some dismiss the use of these techniques in archaeology, arguing the methods are old and demonstrate only evolutionary, rather than revolutionary, improvement. But Stonehenge is a World Heritage Site spread over a large area and while it has been intensively studied for decades, physical digs are now extremely restricted. Instead, over the past four years, the Stonehenge Hidden Landscape Project (SHLP) – a collaboration between the universities of Birmingham, Vienna, Bradford, St Andrews, Nottingham and Ghent with the National Trust and English Heritage – used geophysical survey techniques such as earth resistance, magnetometry, ground-penetrating radar and electromagnetic induction. It’s true that these have been standard issue in the geophysicist’s armoury for some time, so the sceptical observer may feel justified. But what is not apparent is the scale of the survey and the quantity and quality of data unearthed. 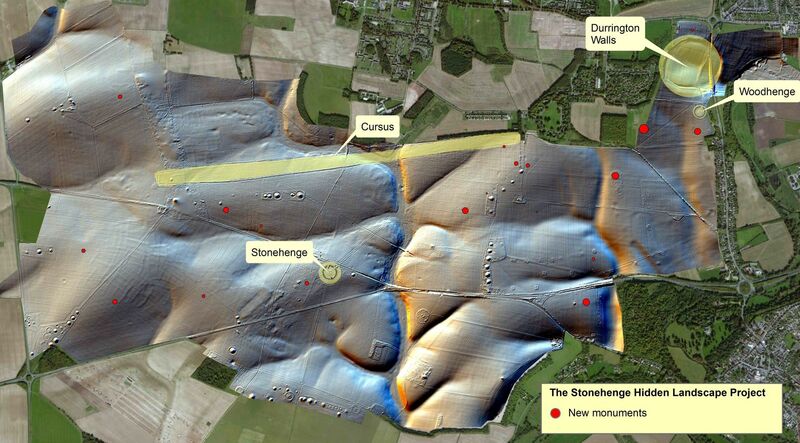 The new discoveries at Stonehenge and revealed in the survey data generated by geophysical technology. The main technique used by the project was magnetometry. This reveals patterns by recording the magnetic properties of ferrous elements in soil or as left behind by human activity such as burning. 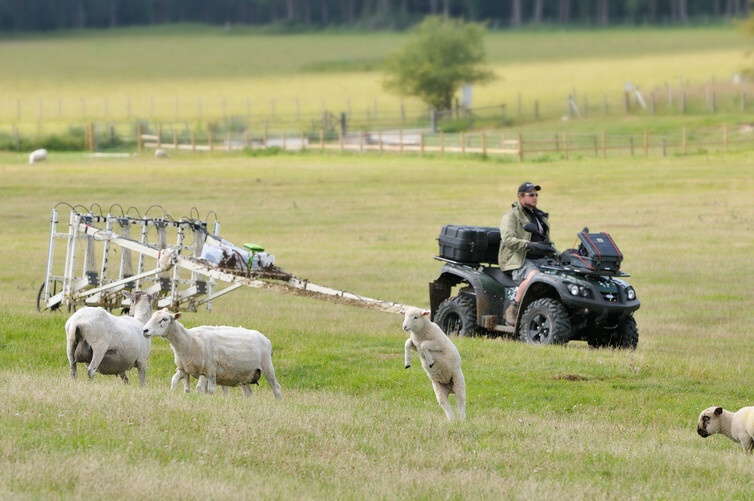 More than 12km2 around Stonehenge was surveyed using magnetometry, accomplished by using arrays of up to 10 fluxgate sensors to detect the magnetic fields, mounted on a customised non-magnetic cart pulled by quad bikes fitted with navigation aids. Sampling information at a resolution of 10cm x 25cm, this process generated a lot of data. By way of comparison, using ground-penetrating radar – which beams radio waves into the earth and records their reflections bouncing back from solid objects underground – the team covered a smaller area at much higher resolution, using a system of 16 sensors at a resolution of 8cm x 8cm. The key to the success of both techniques is the ability to accurately pinpoint and record the location of each of the millions of measurements. The use of real time GPS and robotic guidance has shown that computerised, software-controlled techniques like these can provide huge amounts of accurate data and reveal buried features. Archaeology by quad bike (sheep not included). The data from the magnetometers is gathered as the sensor array is pulled at 20mph or more, while the ground radar sensors move at a fast walking pace. The difference in speed is due to the nature of the properties being measured. The first is a passive sensor which records the earth’s ambient magnetic field, while the second is an active system where radio energy is transmitted into the ground and a receiver waits to collect the energy reflected, which by necessity takes longer. As a result magnetometer surveys will always be cheaper to conduct and this explains in part why they’re highly favoured by commercial surveyors. But for successful use of magnetometry there must be a measurable contrast in magnetic properties of the archaeological features being searched for, for example the backfill in pits or ditches, and the surrounding soil. Fortunately the chalk landscape at Stonehenge is blessed with a low magnetic background which provides the high contrast needed. The results of the magnetic survey are a great starting point to consider how technological changes have altered our perspective of Stonehenge. Within the magnetic map we can see debris from the modern free festival in the 1970s-80s, trenches dug for troop practice during World War I a century ago, and evidence left from the earliest uses of the landscape. 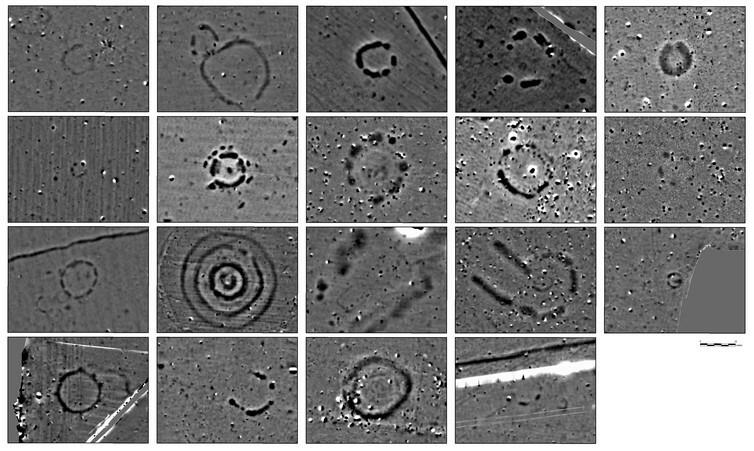 Images of the new monuments found at Stonehenge using geophysical techniques. These images show the variation in magnetic field. The mid range is based around zero, with black, positive values tending to show accumulations of magnetic soil. In these images we can see soil-filled ditches and pits, and the location of former timber posts that once made up henges or supports for barrows or buildings. The surveying has revealed 17 entirely undiscovered monuments as well as radical new information about existing sites. The impression is that far from standing in splendid isolation, Stonehenge was really part of an complex, ordered, ritual landscape. It’s likely to have been peppered by small shrines that were part of the Stonehenge experience for the Neolithic Britons of the time. Even if you were allowed to excavate freely at Stonehenge today it would be impossible to understand the site in its landscape context without the technology employed during the project. While the cynical observer may think that the geophysical techniques have only marginally improved with age, this underestimates the technological advances in how they are practically used, and the effect this has on the quality of data they can generate. Stonehenge in the first archaeological aerial photo, taken by Lt Philip Sharpe of the Royal Engineers Balloon Section. The classical historian Mary Beard recently suggested that archaeological discoveries are now more likely to be found by modern technology than by traditional excavation. 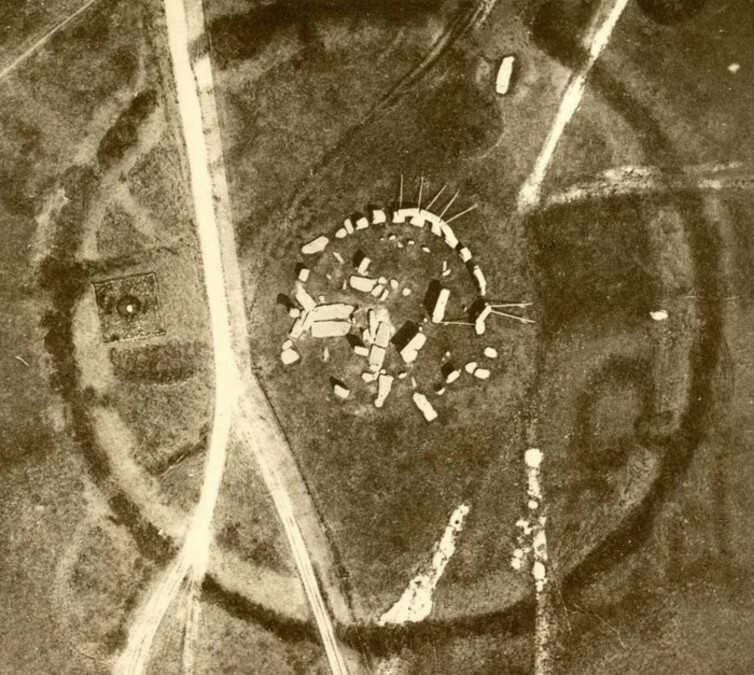 Aerial photography was the first such technology, and in fact the first archaeological aerial picture, taken in 1906, was of Stonehenge, so perhaps it’s fitting that modern techniques continue to turn up discoveries at the same site. After all, why spend time (and money) digging down for the past when you make images of it from the surface? To be honest, I am waiting for the first archaeological surveying robots to become available, which should become possible with the advances in obstacle avoidance being made in the disparate (but with similar problems) fields of autonomous vehicles and robot vacuum cleaners. At some point then, it should be possible to put a survey bot into a field, possibly even with livestock in the field and no foreknowledge of where the fence lines, ditches, trees and other obstacles are, and let the thing simply get on with surveying the field by its self. Solar panels would make this process even easier, although such a machine would likely spend quite a bit of time sitting still recharging its batteries. The point of such systems is this: very little ground has been geophysically surveyed anywhere, simply because doing so is very expensive. Imagine what is out there waiting to be discovered. Dirt-cheap surveying equipment would enable many new discoveries to be made. I have heard that working gastrobots are out in the field - gastrobots use microbial digestion of grass (or similar) to power themselves as they wander about - bit like sheep. and with advanced software they will even be able to work out how to lift huge chunks of stone, move them and embed them in godforsaken places - just like Wiltshire...which, btw, when will the big stone moving event take place at All Cannings? I do wonder just when efficient ox yokes were invented. If such were available at the time of the building of Stonehenge, then the problem is merely how you control a few dozen beasts pulling a sledge with a stone on it. The control could come down to one person per ox; with the stone on a sled, the whole operation being conducted in the dead of winter when the ground is relatively soft and slippery. Even on manpower alone, shifting sleds is much easier on soft, wet ground.